A while back I wrote a blog post about surfboard bike racks. I hadn’t heard about surfboard racks before, I am not a surfer, but the idea of having a rack that you can install on your bike to carry a surfboard was, and still is, interesting. 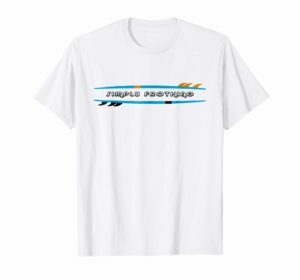 I have been reading and researching about biking and hiking activities that you can do at the beach (I guess I don’t want to admit that summer is almost over :)), and the surfboard rack popped up on my google page again. I have decided to write a more detailed blog about one of the most popular ones (according to Amazon customers) hoping that I can provide some quick but good information people that are interested in a longboard surfboard bike rack. 2 How long is a longboard surfboard? 3 What are the dimensions of MBB rack? 4 Would it scratch my bike? 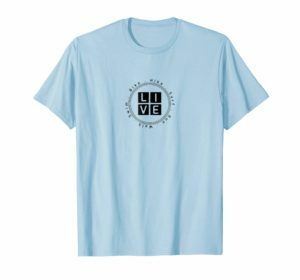 5 How safe is it to ride my bike with these on? 6 Is it easy to install? 7 Will it really fit a 12-foot board? 8 How big does my bike have to be? MBB is a surfboard rack designed and sold by Moved By Bikes, a company that is based in Santa Cruz California. Moved By Bikes has been around since 2011 and from everything I have read from actual customers on Amazon, they have an excellent customer service and response time if you have any issues with your purchase. At the time of this article, their longboard rack had a 4.7(out of 5) star rating on Amazon with a total of 48 reviews. As usual, a disclaimer here, these numbers are just a snapshot in time and subject to change but a 94% 4 star or higher feedback score was good enough to catch my attention. If you are wondering why you should care about Amazon reviews, I recently wrote an article reviewing Allen S104 bike rack and I gave my reasons to why I pay attention to Amazon reviews in that article. You can read that here if you would like. How long is a longboard surfboard? A longboard surfboard is usually a single finned and is 9 to 12 feet long. There might be longer ones, I am not familiar with them. What are the dimensions of MBB rack? MBB longboard surfboard rack has two separate pieces. 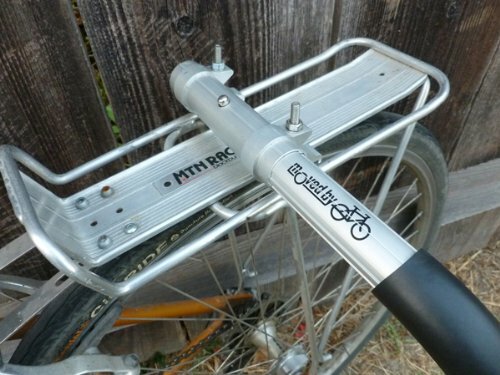 One attaches to the head tube of the bicycle and the other attaches to the rear seat tube with U-bolts. 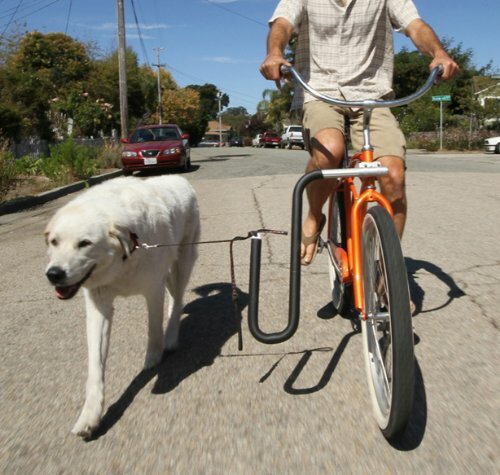 Both of them can be adjusted to fit a variety of bikes, the racks come with enough hardware to be really flexible. Different size U-bolts are included. Moved By Bikes has an excellent installation video that explains all the hardware and how to use them. You can also find a pdf file for the instructions here. The two main numbers you need to consider in terms of this rack is the max weight limit of the board that it can carry, which is 25 LBS, and the width. The width of the rack (the opening where the surfboard is going to be placed) is anywhere from 3.5 inches to 4 inches, depending on whose feedback you read. Unfortunately, I could not find a definitive answer to this, their web site does not mention it, and neither does Amazon, so I went with the range that the customers mentioned in the answered questions section on Amazon. Would it scratch my bike? It is made of anodized aluminum tubes with stainless steel hardware, however, it has foam padding and the U-bolts have plastic padding on them as well, so it should not. 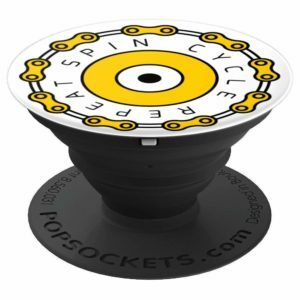 However, the instructional video mentions that in some cases in order to get a tighter fit, you may want to remove the plastic rubber from the U-Bolts, and that may cause them to scratch the bike. How safe is it to ride my bike with these on? Obviously, if you have never ridden a bike with this kind of equipment on it not to mention the surfboard you are going to carry, it is going to be an adjustment. You definitely should avoid where there might me a lot of car traffic, at least in the beginning. But once you get used to it, most people said it was not that hard. The weight of your bike and the additional weight of the surfboard is something to consider, that’s why I am going to mention, do not use it with any boards heavier than 25 pounds. If you live in an area where there is a lot of heavy winds, this is something to consider too. Last but not least, one person mentioned that he uses this rack for a 5-mile round trip bike ride to the beach almost every day without any issues, I am guessing he is not a “beginner”. Multiple people said they use it for a mile ride to the beach with no problems at all. If you will be biking some hills even though they are small hills, you should tie the board to the rack with some bungee cords. In my opinion, you should do that anyway in order to avoid the board slipping. Yes, watch the installation video, it is really well done. You can find the link for the video above. 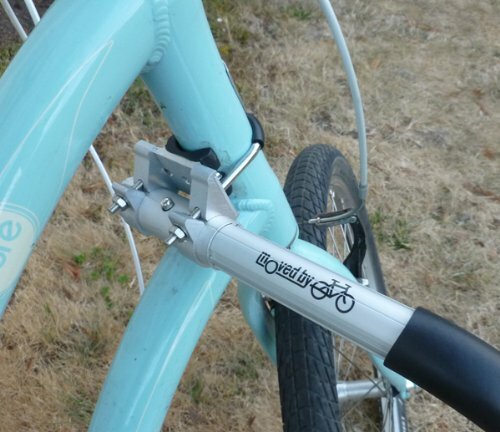 A couple of people were able to install it on a women’s bike and a fat bike with no problem. Will it really fit a 12-foot board? I have read one review that says he uses is for his 11’ 1” board all the time, others mentioned using it with a 10 footer. So technically I don’t know if it actually fits a 12 footer I guess, but mostly the biggest issue is the thickness of the board (ideally less than 4 inches) and the weight of the board (must be less than 25 pounds). How big does my bike have to be? Your bike needs to be high enough to give the proper clearance of the racks off the ground. You cannot use this rack with a smaller bike, it needs to be a regular adult size bike. Multiple customers mentioned how great their customer service is so I am going to repeat it again. If you have any questions before or after you buy their products, the company is there to help. One customer said one of the parts for this rack arrived damaged and he contacted the company and they sent him a new one within a day. That is impressive. From everything I have read, it seems like a really good surfboard bike rack. It is strong and sturdy, gets the job done. Not a whole a lot more to say, if I ever need one, I will give this one a shot. 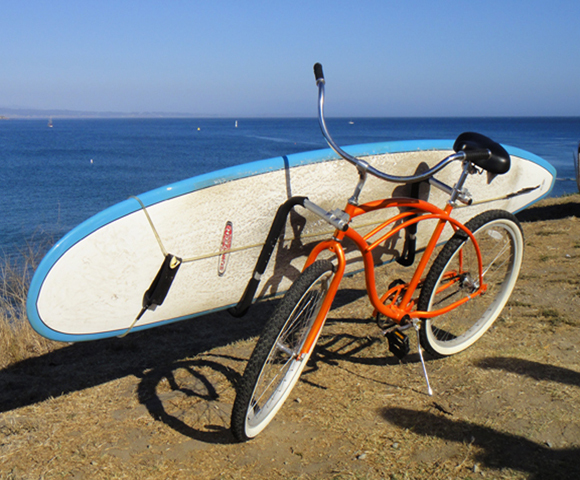 If you want to read about other surfboard bike racks, check out my article here. 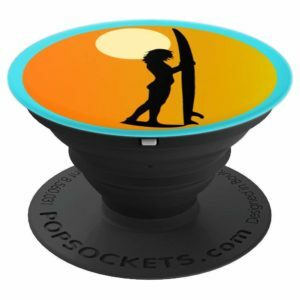 If you are looking for a cool surfing related grip for your phone or tablet, check out this cool surfer girl Popsockets Grip by Amazon. This entry was posted in Bike rack, Surfboard on August 24, 2017 by ozziewizzard.